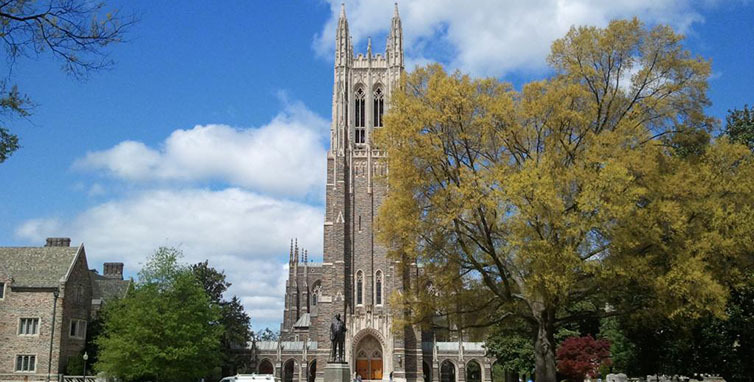 Duke University professor Jerry Hough has faced criticism in recent days following his comment on a New York Times editorial published on May 10 that some readers characterized as racist. FIRE is glad to see that—despite another race-related controversy just last month—Duke has apparently not taken action against Hough. But the university still seems not to appreciate how open discourse should function on campus. I am a professor at Duke University. Every Asian student has a very simple old American first name that symbolizes their desire for integration. Virtually every black has a strange new name that symbolizes their lack of desire for integration. The amount of Asian-white dating is enormous and so surely will be the intermarriage. Black-white dating is almost non-existemt [sic] because of the ostracism by blacks of anyone who dates a white. The comments on the website were noxious, offensive and have no place in civil discourse. … We take issues like this seriously and will use the opportunity to restate Duke’s core values of diversity and tolerance. Proclaiming that Professor Hough’s speech has “no place in civil discourse” might chill discussion and debate on campus. Duke should remember that in the course of discussing current events and debating questions of obvious public concern—race, LGBT rights, abortion, religious rights, even freedom of speech itself—it is inevitable that someone will be offended by the opposing side’s ideas. Duke is free to encourage its students and faculty to be civil and tolerant, but it should make clear that doing so isn’t mandatory. Just last week, Boston University managed to express disappointment in incoming professor Saida Grundy’s controversial tweets without suggesting that offensiveness generally should be kept out of debate among campus community members. Butz is a tenured associate professor in electrical engineering. Like all faculty members, he is entitled to express his personal views, including on his personal web pages, as long as he does not represent such opinions as the views of the University. Butz has made clear that his opinions are his own and at no time has he discussed those views in class or made them part of his class curriculum. Therefore, we cannot take action based on the content of what Butz says regarding the Holocaust – however odious it may be – without undermining the vital principle of intellectual freedom that all academic institutions serve to protect. FIRE hopes that as Duke continues to “restate Duke’s core values,” it remembers the vital principles espoused by Bienen at Northwestern.